At Doubtnut our prime objective is to provide students with the most excellent IIT-JEE and board exam preparatory material. 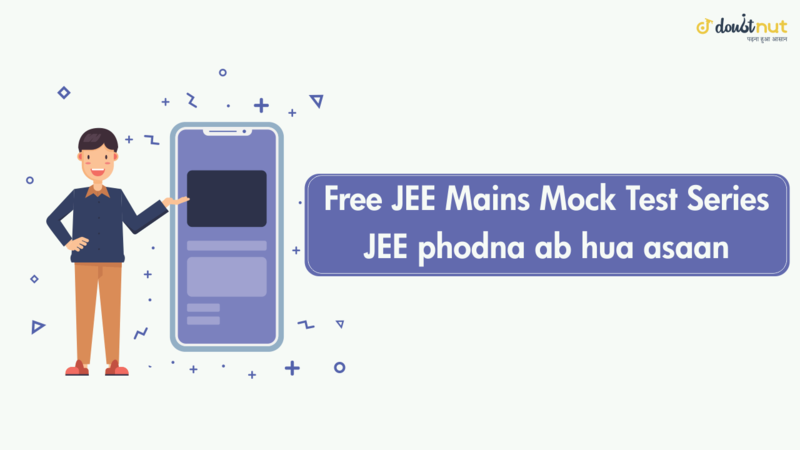 Therefore, this year Doubtnut is releasing the Free Online Mock Test Series for JEE Mains 2019 April to provide students with an actual simulation of JEE Main exam. 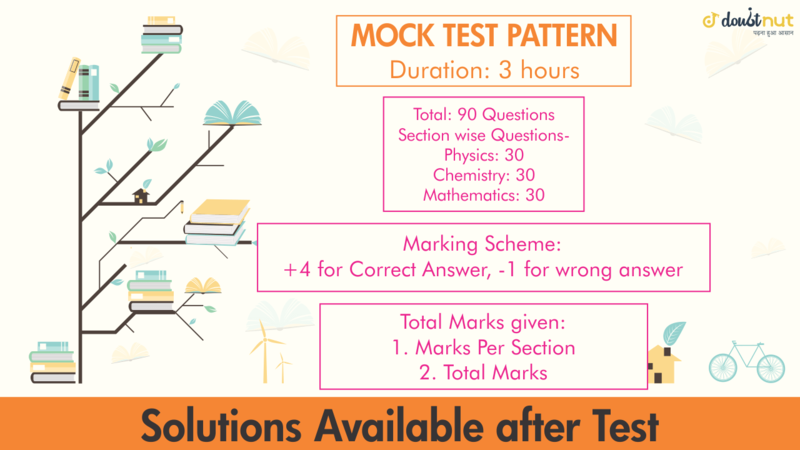 The series encloses the Free Mock Tests for students preparing for JEE Mains 2019 April. It covers the complete latest syllabus of all the three subjects Physics, Chemistry and Mathematics and is based on the latest JEE Mains examination pattern. All the below given JEE Main Online Mock Test Series are a set of online JEE Main Mock test taken by the by top rankers of both JEE Main and JEE Advanced in the previous years. You can Free Download from the links given below. Designed by Examination Experts at Doubtnut: With 4.4 rating on Google Play Store, Doubtnut App is student’s favourite destination to study online for the board as well the competitive examination. Flexibility: It will give you the true experience of JEE Mains examination. Detailed solution: You can check out the answers on the Doubtnut App. 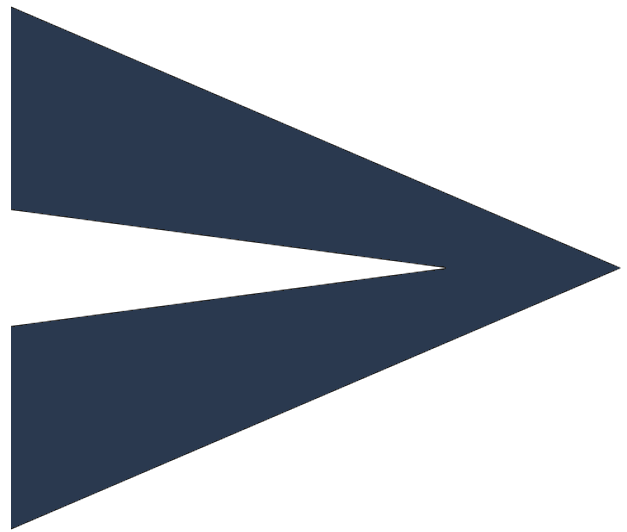 Get an instant solution to easily assess your abilities. 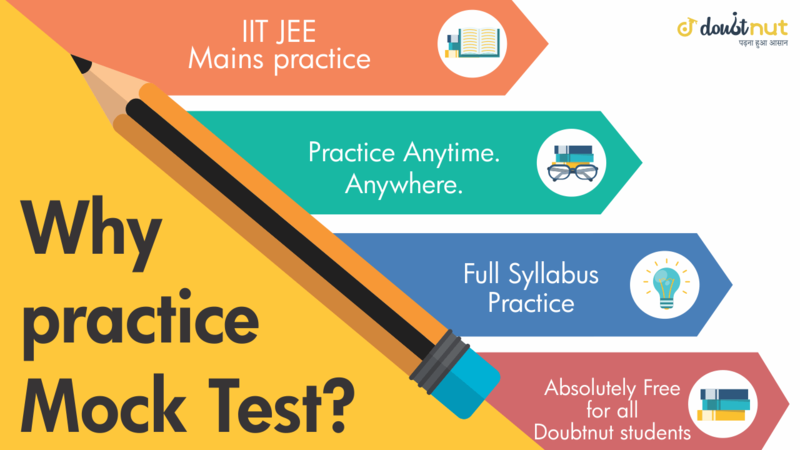 Why Practice with JEE Main Online Mock Test Series? IIT-JEE examination being the nation’s most prestigious engineering competitive examination attracts millions of 12th pass out students each year. This year a number of students are worried since the mode of examination will be Online. It will be a Computer Based Test (CBT). While there are a number of students who still prefer to take the examination offline for various personal reasons, however, taking JEE Main online can also be beneficial for you in various ways. For instance, marking an answer in an online exam takes significantly less time in comparison to pen and paper-based offline examination. Also, online examination makes it easier for you to correct the answer later in case you have answered it mistakenly the first attempt. 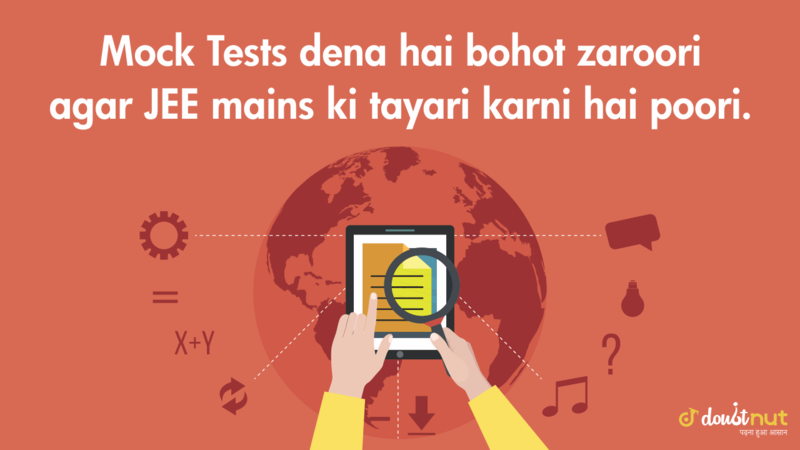 With Doubtnut, you can take Free Online Mock Test Series for JEE Mains 2019. The given mock tests are prepared by subject matter experts after careful study of the recent examination trends.